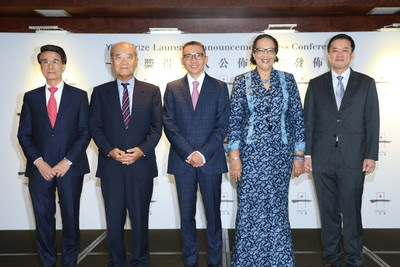 Hong Kong: The Yidan Prize dedicated to creating a better world through education today unveiled its inaugural laureates. They are Professor Carol S. Dweck of Stanford University and Vicky Colbert, founder and director of Fundación Escuela Nueva. Each laureate will receive approximately $4 million US dollars to recognize their distinguished contributions to education and to help fund their future work. In conjunction with the announcement, the Yidan Prize Foundation launches the inaugural Worldwide Educating for the Future Index, produced by The Economist Intelligence Unit (EIU), the first comprehensive index to evaluate education systems in 35 economies representing 88% of global GDP and 77% of global population. The Yidan Prize for Education Research laureate is Carol S. Dweck, the Lewis and Virginia Eaton Professor of Psychology at Stanford University, the United States. Her groundbreaking research focuses on the pioneering concept of the “growth mindset”built on a fundamental belief in the malleability of intelligence. The theory has become an influential concept in how children in the classroom are encouraged to evaluate and realize their full potential. The Yidan Prize for Education Development laureate is Vicky Colbert, founder and director of the Colombian organization Fundación Escuela Nueva and co-author of the Escuela Nueva educational model, Colombia. The education project she has led Escuela Nueva (“New School” in Spanish) uses a transformative “learner-centered” model to integrate the curriculum, teacher training, community involvement and school administration in a coherent and cost effective way. The model has addressed fundamental issues in global education – providing high quality schooling for rural areas, and is proven to be impactful for its scalable outcomes in many countries and has been continuously expanded and developed for over three decades. 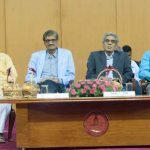 An independent judging committee led by chairman Dr Koichiro Matsuura, Eighth Director-General of UNESCO, selected the laureates for both prize categories. Professor Paul Chu Ching-wu, professor of physics, T.L.L., Temple Chair of Science, University of Houston heads the Yidan Prize for Education Research panel, and Dorothy K. Gordon, former director-general of the Ghana-India Kofi Annan Centre of Excellence in ICT leads the Yidan Prize for Education Development panel. Dr Koichiro Matsuura, chairman of the judging committee of the Yidan Prize, said, “The first-year result was satisfactory and we see a lot of potentials. The nominees’ work was judged based on four criteria which are sustainability, future-orientation, innovation and transformation, and we were impressed by the extent to which the nominated research and development projects have excelled in all aspects, and their tremendous contribution made to the community. The education research is particularly future-oriented as it has proved, through cycles of experiments, even a brief “growth mindset intervention” in schools can markedly increase student performance. Each laureate receives a gold medal and a total sum of HK$30 million (US$3.9 million) including a cash prize of HK$15 million (US$1.9 million) and a project fund of HK$15 million (US$1.9 million). The medals will be presented by The Hon Mrs Carrie Lam Cheng Yuet-ngor, the Chief Executive of the Government of the Hong Kong Special Administrative Region at the inaugural Yidan Prize Ceremony to be held in Hong Kong in December, while the Yidan Prize Summit will present interactive dialogues and debates under the theme of Education Redefined – The Future is Now. Evaluating how 35 developed and developing economies representing 88% of global GDP and 77% of global population are preparing the next generation to acquire the skills needed for an uncertain and volatile future, the index is based on 16 indicators across three thematic categories: education policy, teaching and socio-economic environments. The world’s first ever comprehensive benchmarking tool that focuses on inputs to education systems, as opposed to outputs such as test scores, the index examines the root causes of why current education systems are failing our next generation, and creates a blueprint for governments to improve. Smaller, richer economies are at the forefront of providing their younger generations with the skills required by future labor markets. With comprehensive education policies, well-qualified teachers and robust assessment frameworks to test for future skills, New Zealand, Canada, Finland, Switzerland and Singapore come out as the top performers. Notably, more than half the economies in the index are failing to invest in or effectively assess skills needed for the future, such as critical thinking, collaboration and global citizenship, in their education systems. Economies with liberal social traditions are more likely to inculcate independent and critical mindsets that will support young people to thrive in a fast-changing world. Finland, New Zealand and the UK take the top three spots in this domain. New Zealand tops the rankings overall, followed by Canada and Finland. Fewer than half of the economies surveyed put sufficient focus on crucial fields like global citizenship and project-based learning. The two countries supplying the largest pool of workers in the world, India and China, are below average overall showing the further need for education reform with a focus on future skills. Singapore is the best-performing economy in Asia, ranked 5th overall and 1st in education policy environment. Argentina ranks first among middle-income economies in the index; the Philippines takes top spot for low-income markets.